Well Furnir Company is a Chinese manufacturer of outdoor furniture dedicated to outdoor furniture- Rattan Wicker Sofas, Rattan Wicker Sectional Sofas, Rattan Wicker Dining Tables / Chairs, Outdoor Daybed, Sun Lounger / Chaise Lounge, Rattan Showers, Rattan Storages…… We thought be focusing on just rattan/wicker products categories we could be the best at them offering our customers the largest selection, best pricing, and product knowledge to back it up. We dare you to search for a better selection. If you find any designs we don’t carry, please let us know as we would love to carry it. We have recently added a large number of different designs as we think they fit our existing production selection. They are comfortable and the perfect design will put you to relax and enjoy. We offer the largest selection of patio swings with many different material, styles and colors to choose from. Any inquiry will be responded in 24hours.We have been in business over 14 years and have thousands of happy wholesalers. For your payment convenience we accept all T/T, L/C, DDP etc..
No pricing gimmicks. All products are made from our own production room. 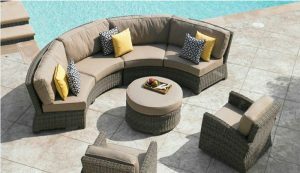 We offer over 8 material options from resin wicker to maintenance free poly recycled plastic for any outdoor environment. We are proud to carry a large selection of Chinese made products! All products are manufactured according to your requirements. Most products are offered with a custom fit premium cushion so you can complete your entire order in one place. We carry both residential and commercial rated products so we are equipped to handle any client. We are an authorized manufacturer for all the products shown on our website. Products are backed by your packaging information. They have been an instant hit. We take great pride in being your destination for quality rattan furniture! Please let us know if we can help you with any questions.